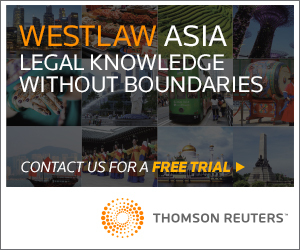 On 1 June 2015, the Government of the Hong Kong SAR published its long awaited consultation document on Hong Kong’s proposed ‘security of payment legislation’ (“SOPL”) for the construction industry. Similar legislation was enacted in the UK in 1996, and subsequently in Australia, New Zealand, Singapore and most recently in Malaysia and Ireland. 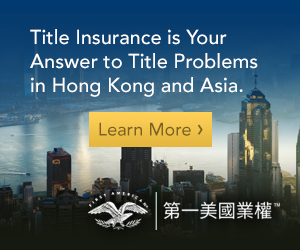 The rationale is the alleviation of cash flow pressure on contractors, sub-contractors, suppliers and professional service consultants, all long-standing problems in Hong Kong1. The consultation document may be downloaded at http://www.devb.gov.hk/sop. Where it applies, the proposed SOPL will change the way participants in a construction project may agree and manage their contracts, and any disputes. In Part 1 of this article, we summarise the proposed scope of the SOPL and its key proposals. Next month, Part 2 will comment further on the proposed statutory framework adjudication regime. The proposed SOPL will apply to all construction projects in the ‘public’ sector, but only apply to a limited range of ‘new’ construction projects in the private sector. It will apply to a wide range of contracts for works, supply of materials, plant and equipment and professional services for projects with construction activities in Hong Kong. 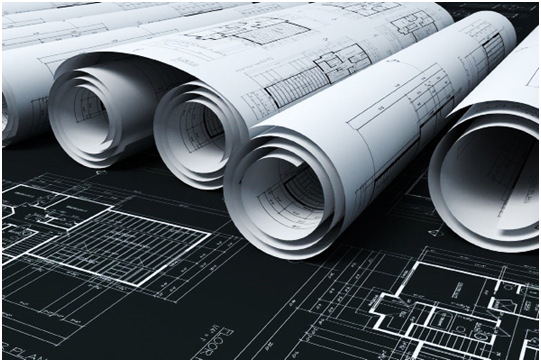 The types of ‘building’, and ‘construction activities’ will be broadly defined. The SOPL is intended to apply only to contracts entered into after an effective date, to be determined when legislation is eventually passed and gazetted. The proposed SOPL will apply only: (i) to a ‘new building’, as defined in the Buildings Ordinance (Cap. 123), which includes alteration works involving reconstruction of half the superficial area of the main walls; and (ii) where the original value of the main contract for the ‘new building’ exceeds HK$5 million, or where professional services and supply only contracts exceed HK$500,000. Where the SOPL applies to the main contract, then sub-contracts of every tier will be covered. Contracts of employment of individuals, insurance, financial guarantees and loans are not affected. office and shop fit out works. Contractors, sub-contractors, consultants and suppliers engaged in such construction work on an existing building will not be able to rely on the proposed SOPL. The rationale is that occasional participants in construction activities, including Owners/Incorporated Owners of multi-storey buildings, retail/office tenants, and individuals decorating their homes will not have sufficient experience or resources to respond to contractor claims under the SOPL, which could put them at an unfair disadvantage. The proposed SOPL will apply to all construction works procured by the HKSAR Government, and also to those procured by certain specified statutory organisations, other bodies and corporations with a ‘public’ element. These include some utilities, tertiary institutions, theme parks and the West Kowloon Cultural District, railways and airport, public hospitals, and public housing developers. The full list is at Schedule 1 of the SOPL consultation document. The proposed SOPL covers all types of construction works, materials and plant and professional services procured by the ‘public’ sector, regardless of value, including general construction, maintenance, repair and renovation, and the installation of fixtures, fittings and systems such as air conditioning or fire alarms. Under the proposals, a contracting party may, when it makes a claim for interim or final payment, choose whether to use the prescribed form of a statutory ‘Payment Claim’ which will attract the SOPL, or to make a non-statutory claim under the contractual regime only. Based on the experience in other jurisdictions, the impetus for statutory ‘Payment Claims’ is likely to emanate from the lower tiers of the contracting chain, which have historically been most disadvantaged. 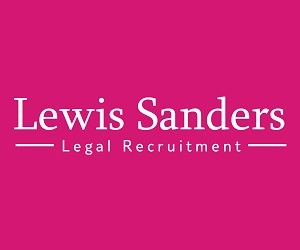 Any party at a higher tier of the contracting chain faced with a ‘Payment Claim’ and potential statutory adjudication, may feel compelled to pass such claims upwards, ultimately to the Employer, at least to preserve their own commercial position. This could result in ‘back-to-back’ adjudication of legitimate disputes regarding payment and any applicable deduction or set-off. Under the proposed SOPL, parties are free to agree intervals or milestones for claiming progress payments, and the rates, prices and valuation methods for work done, or materials and services supplied. If no timing is agreed, the statutory default is for monthly payment on the basis of the rates and prices agreed in the contract to the extent reasonably applicable, and otherwise by reference to market rates and prices at the time the contract was made. payment is contingent on receipt of payment from a higher tier (ie, ‘pay if paid’ or ‘pay when paid’ clauses). A statutory ‘Payment Claim’ must include a breakdown and details of the relevant work, services, plant and materials, and details of other claims, such as for loss and expense recoverable under the contract for prolongation or disruption. The party receiving the ‘Payment Claim’ is required to serve a statutory ‘Payment Response’ within 30 calendar days (or any shorter period agreed in the contract), which must stipulate: (i) assuming no set-off or deduction, the sums accepted as due under the contract and those disputed as not due, supported by reasons and calculations; (ii) any sums proposed to be set-off or deducted, supported by grounds and calculations. This will normally result in the net amount ‘admitted’ as due. The consultation document proposes that failure to serve a ‘Payment Response’ by the due date will not make the entire sum of the Payment Claim automatically due, but will disentitle the paying party from claiming any set-off or deduction. The paying party will retain the right to challenge the sum due under the contract in any subsequent adjudication even if no Payment Response is served. They will also have an opportunity to apply such set-off against any subsequent Payment Claim. Where a sum is ‘admitted’ in a ‘Payment Response’ as due, or is subsequently adjudicated as due, it is proposed that the party entitled to payment will have a statutory right to suspend all or part of the works or reduce the rate of progress of works or services, subject to giving a prescribed number of days’ prior notice. The consultation document recognises that a right to suspend or reduce the rate of progress introduces a series of complications relating to additional time and the costs of delay and disruption arising from full or partial suspension and resumption of works or services. Various possibilities are canvassed and comments are invited. Where an amount included in a Payment Claim is disputed, then the dispute, including the paying party’s entitlement to claim deduction or set-off, may be referred by either party to adjudication. Adjudication is intended to provide an interim ruling only, which may later be challenged by way of litigation or arbitration. It is described in the consultation document as inevitably producing decisions which may at times be ‘rough and ready’. The procedure is ‘documents only’, and must be concluded within 55 working days (11 weeks) of the adjudicator’s appointment, unless both parties agree to a longer time. There is no discovery, examination of witnesses or oral submissions. An adjudicator may issue directions, or call for further submissions and evidence, and in an appropriate case, hold a meeting with the parties in person to explain their respective positions and answer questions put by the adjudicator. Any notice of adjudication (“Notice”) must be served within 28 calendar days of: (i) failure to serve a Payment Response within the statutory timeframe; (ii) service of a Payment Response disputing any part of the payment claimed or asserting any deduction or set-off; (iii) non-payment of an amount ‘admitted’ in a payment response; or (iv) a dispute arising regarding the time for performance, or an entitlement for extension of such time. An adjudicator is appointed within five days of the Notice, either by agreement between the parties or by an agreed adjudicator nominating body (ie, institutes of surveyors or engineers or other professional bodies or arbitration or mediation centres). In the absence of agreement, the default nominating body is the Hong Kong International Arbitration Centre (“HKIAC”). The proposed SOPL provides for an adjudicator’s decision as to interim amounts due to be enforceable in the same way as a judgment of the court, without set-off or deduction. There will be only limited grounds to challenge the decision (ie, significant jurisdictional or procedural errors, not determinations of fact or law). Each party to an adjudication will be responsible for their own legal and expert costs, regardless of the outcome. The adjudicator’s own fee and expenses may be awarded in favour of one party or apportioned, commensurate with the outcome of the adjudication. The proposed SOPL represents a watershed for major projects and new building developments in the Hong Kong SAR. Contractors, consultants and suppliers involved in such projects will need to evaluate their contract procedures and obtain legal advice on the impact of the proposed legislation, as and when it is enacted. Further details regarding the proposed adjudication regime will be included in Part 2 of this Article. Those who engage in public sector construction works, or private sector construction works for new buildings, may wish to study the proposals and submit formal comments. The consultation period ends on 31 August 2015. 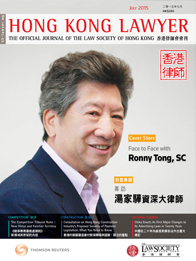 1 For a useful summary of various reports seeking to analyse these problems, see Security of Payment Legislation: The Way Out of Hong Kong’s Construction Payment Conundrum (June 2013) by Christopher To, available at http://www.hk-lawyer.org/en/article.asp?articleid=1090&c=7.